On Sundays you can get a return trip by train to this World Heritage area for only $2.70. However, we recommend renting a car and going up for a full weekend to take advantage of the natural wonders. Marvel at the views for free by heading to the visitor centre, or if you’re short on time you can head to Scenic World and catch the Gondola to take in the views at Katoomba Falls and Mount Solitary. We recommend doing the 0.8km Three Sisters Walk. It is low intensity and allows you more of an opportunity to take in the beauty of the sandstone cliffs and rugged mountain ranges. These limestone caves are the world’s oldest open caves. With guided cave tours starting at $42, this is worth a visit if you’re heading to Katoomba. If you don’t have access to a car, you can catch a bus to the location from Katoomba station. Driving down the South Coast from Sydney is the quintessential Australian coastal road trip. 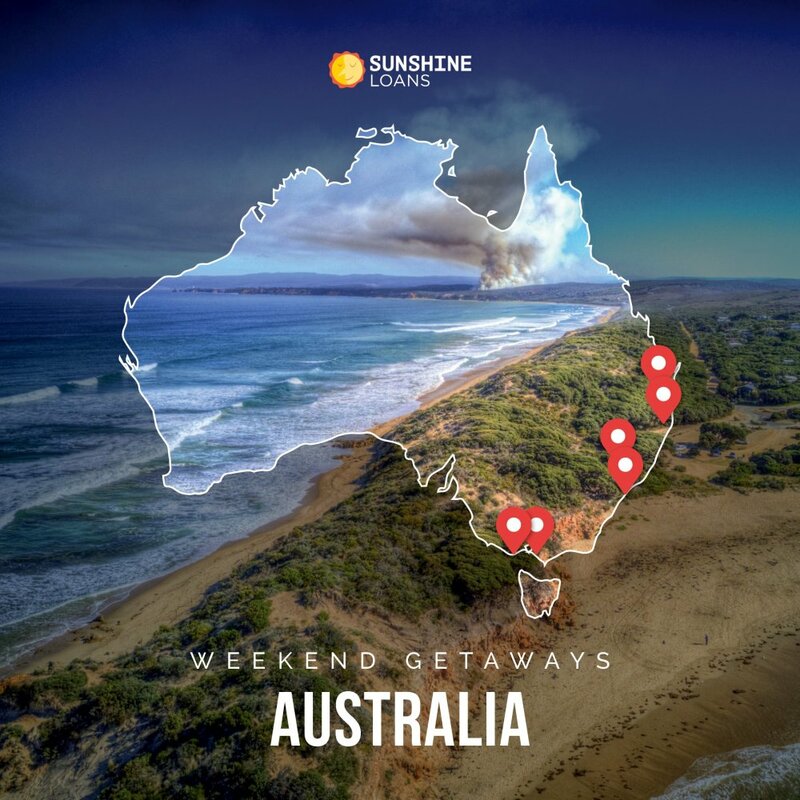 Drive along the Great Ocean Road, stop at the lookouts scattered along the coast and enjoy some of the most beautiful beaches the east coast has to offer. 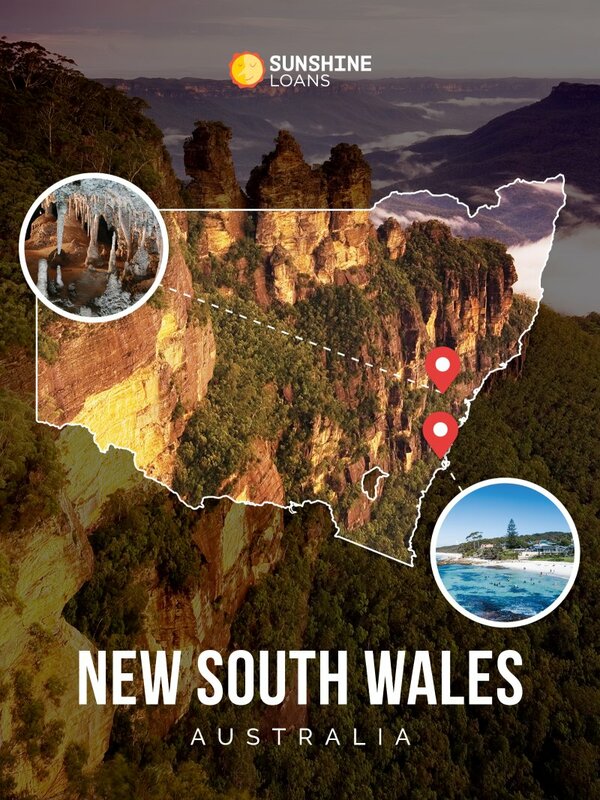 Approximately an hour’s drive from Sydney’s CBD, Sydney Royal National Park offers multiple natural landmarks. You could take the somewhat treacherous walk to the Instagram worthy Figure 8 Pools, or cool off at Wattamolla Beach and lagoon which has picturesque views of a remarkable waterfall. We recommend taking the Grand Pacific Drive and stopping in Wollongong, which is an hour from the Royal National Park. A seaside city, located in the Illawara region and affectionately nicknamed ‘The Gong’, Wollongong offers plenty of restaurants, shops, cafes and activities. Not too far from Wollongong, you will also find popular local hotspots – Kiama and Berry. Kiama is a charming coastal town and Berry offers a glimpse into quaint Australian countryside. Roughly a 3-hour drive from Sydney’s CBD, Jervis Bay hosts some of the most pristine beaches along the NSW coastline. While Jervis Bay’s most renowned spot is the white-sand beach of Hyams, nowadays it is often too crowded for the locals. Murray’s Beach is another popular spot in Jervis Bay, but it’s thankfully less crowded due to it being located in Booderee National Park. While it can’t boast the white sands of Hyams, it is a picturesque place with the bush meeting the beach and a greater diversity of marine life. For budget accommodation in Jervis Bay, we recommend camping near Caves Beach, where you will find wild, but docile kangaroos foraging. An hour and a half from the Brisbane CBD and 40 minutes from the Sunshine Coast; Noosa is conveniently situated for the perfect day trip. We recommend visiting Noosa National Park, and taking a half hour coastal walk past Boiling Point Lookout, Dolphin Point Lookout and through Granite Bay to find the natural Fairy Tidal Pools. From walking tracks to breathtaking lookouts, The Glass House Mountains offer an awe-inspiring landscape with its iconic thirteen rising peaks. If you enjoy outdoor activities, The Glass House Mountains is also within a stone’s throw of Maleny. Maleny boasts Gardners Falls, Maleny Dairy, McCarthy’s Lookout and Maleny Botanic Gardens & Bird World. 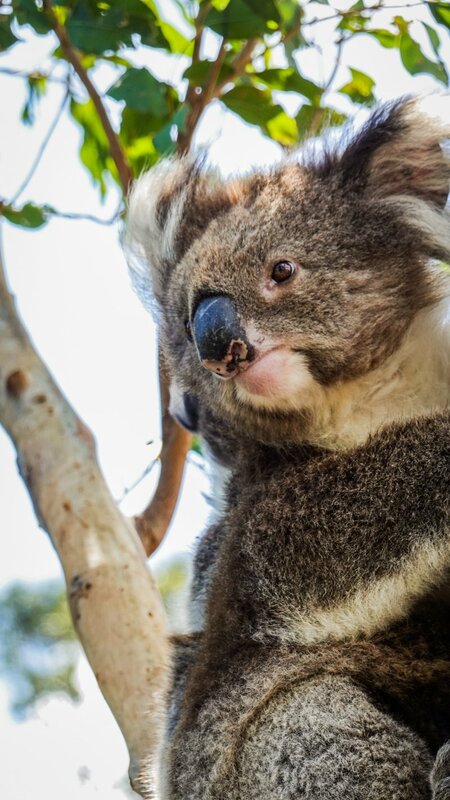 Less than a 20-minute drive from Glass House Mountains National Park you will find the famous Australia Zoo. Founded by Steve Irwin, this 1,000-acre zoo is located in Beerwah and has a plethora of exhibits and enclosures home to native and exotic wildlife. A coastal town that while technically is located in New South Wales, is only a two-hour drive from Brisbane CBD. Another popular seaside holiday destination, Byron Bay is infamous for snorkelling, scuba diving, surfing, festivals, concerts and national parks. 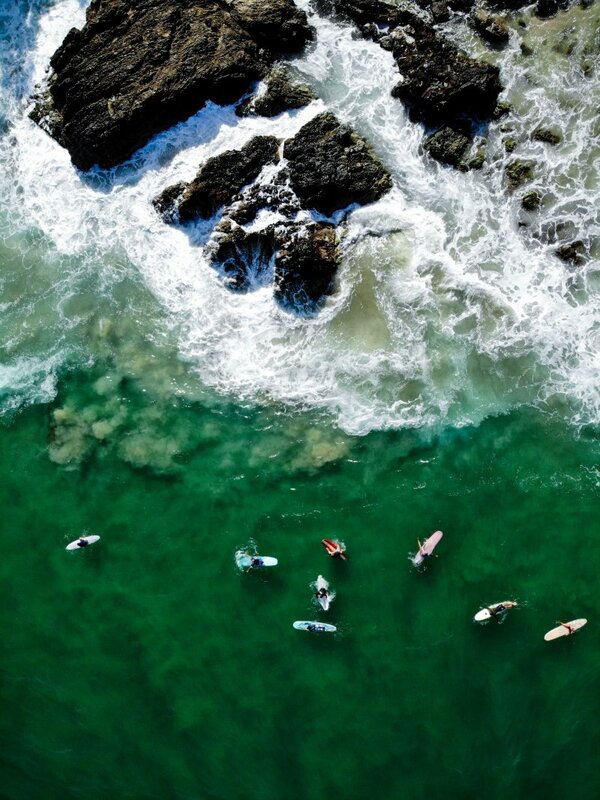 Byron Bay offers restaurants, beaches, cafes and the perfect place to unwind. We recommend taking the coastal walking trek to Cape Town Lighthouse – one of Byron’s most visited attractions. 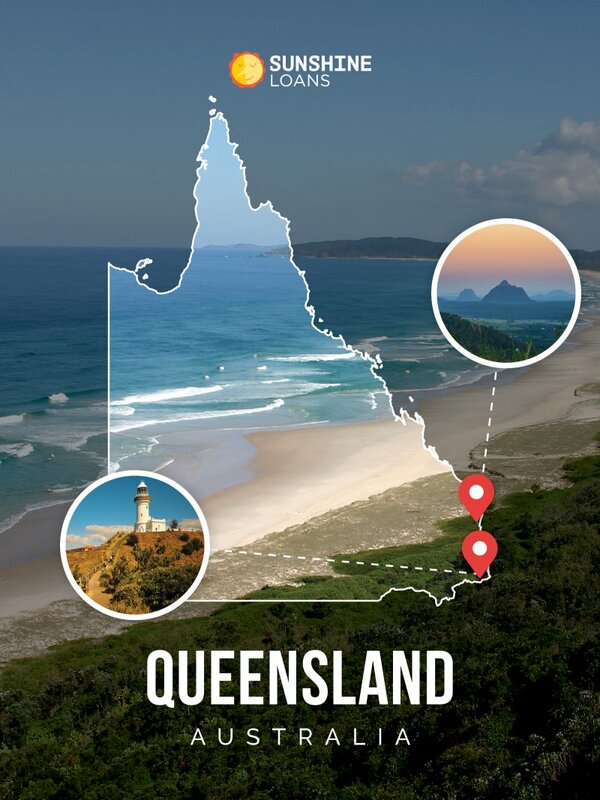 Cape Byron Conservation Area offers more free activities in Byron Bay, including walking tracks and scenic lookouts through rainforest, grasslands, beaches and clifftops. If you’re lucky, you might even spot some dolphins or whales! Byron Bay has many beaches to enjoy, but Tallows beach is one of the most renowned. Tallows Beach stretches 3.2kms and is popular for beach fishing, swimming, whale watching, birdwatching and is also dog friendly. Sitting in between the Cape Byron State Conservation Area and Broken Head Nature Reserve, enjoy the scenic surrounds of this seaside haven. An hour’s drive from the coast of Byron, you will find the Minyon Falls lookout in Nightcap National Park. Surrounded by lush rainforest, you can choose to appreciate this waterfall from an easily accessible lookout or take the 7.5 km walking track through the rainforest to a tranquil swimming hole that can be found at the base of the waterfall. If you want to continue your adventure after exploring the iconic waterfall, the quirky town of Nimbin is just another hour’s drive west. While on your way down the Great Ocean Road we recommend stopping in the picturesque town and coastal reserve of Lorne. Situated in the vast region that makes up Great Otway National Park, Lorne offers a variety of affordable activities. Visit the 30-meter waterfall – Erskine Falls – which is against a lush fern gully and flows into Erskine River. With an easily accessible lookout at the top and a challenging walk down to the base of the falls, you can choose your activity to suit your fitness level. We also recommend heading to Teddy’s Lookout for a popular scenic stop. A 3-hour drive from Melbourne CBD, (4-hours if you take the Great Ocean Road), The Twelve Apostles is one of the most iconic natural landmarks in Victoria. A collection of limestone stacks off the shore of Port Campbell National Park, The Twelve Apostles’ eight remaining stacks tower at 45 meters high. A short 5-minute drive on, you can also explore the scenic Loch Ard Gorge. With orange beaches, diverse natural rock formations and turquoise water; you will feel as though you’re in an idyllic tourism ad for Australia! Whether you want to take one of the many trails or just soak up the views, sun and surf; Loch Ard Gorge is worth the drive. 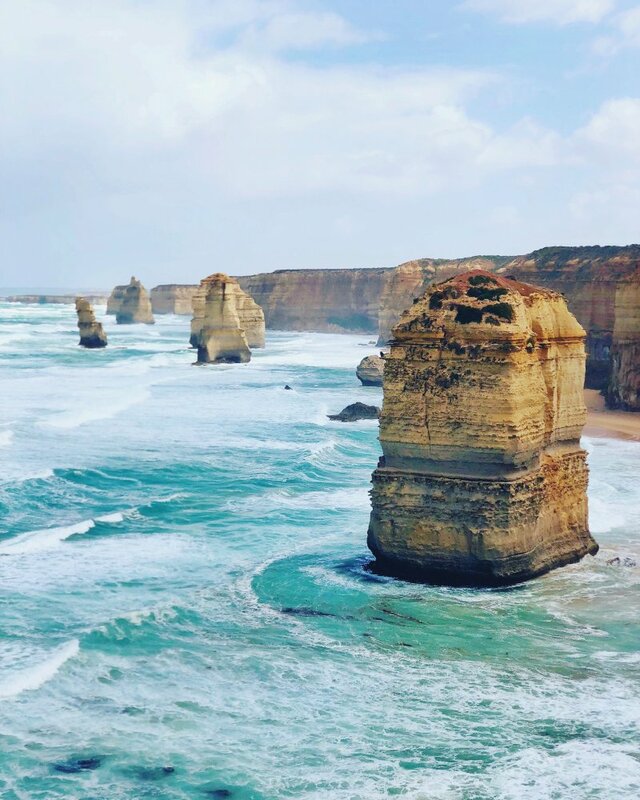 A 20-minute drive from The Twelve Apostles; London Bridge & The Grotto could complete your Great Ocean Road trip. London Bridge, (also known as London Arch,) is a natural arch formed from the gradual process of erosion. A further 5-minute drive you will find The Grotto – a sinkhole – where the limestones cliffs have fallen away. These two natural formations are a unique and natural part of Australia that is easily accessible. 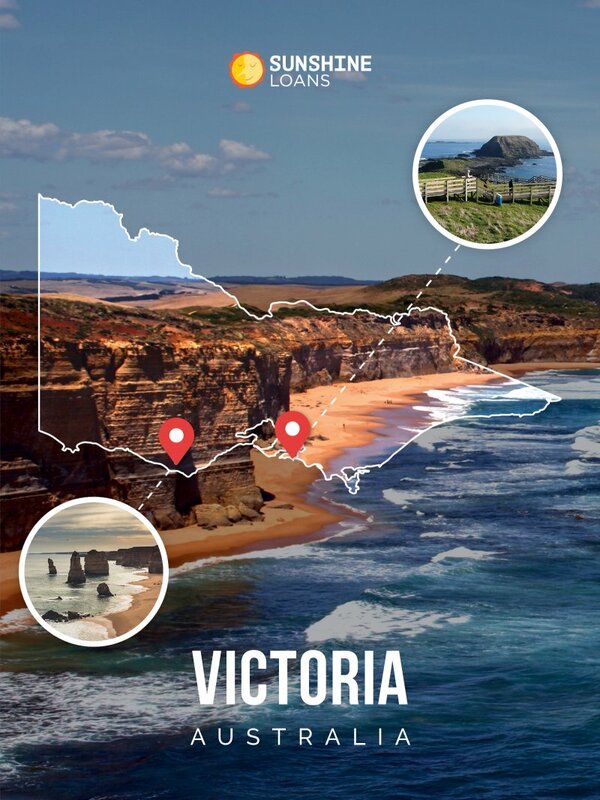 If you’ve done the Great Ocean Road, then we recommend heading East from Melbourne. When driving or walking through the Mornington Peninsula, head along the coast past Rosebud Bay towards Portsea. From Portsea take the invigorating walk to the picturesque Fort Nepean, or visit the infamous Cheviot Beach, where the late Prime Minister Harold Holt disappeared in 1967. While you’re in Mornington, why not visit the Cape Schanck Lighthouse? The Lighthouse also boasts a walk down to the rock pools which you can explore, and hopefully spot some marine life! This tourist destination is an island home to farmland, native wildlife and charming beaches. Philip Island is home to little penguins, fur seals, native wildlife conservation centres, livestock and if you’re lucky, you may even spot some migrating whales. If you are doing a day trip to Philip Island, try to squeeze in a visit to the famous natural landmark – The Nobbies. To soak up the seaside, visit Cowes Beach, which is close to the local shops, cafes, accommodation and even has its own jetty. It’s the perfect option for soaking up some sun from the sand. With plenty of tranquil hikes and treks, you will get your dose of the great outdoors from a visit to Wilsons Promontory National Park. The most renowned hike is the Mount Oberon Summit Walk which is a day hike to stunning panoramic views from Mount Oberon. We also recommend visiting Squeaky Beach. With pure white sand that squeaks as you walk, it is a fun and dreamy place to soak up some sun. Whether you’re in Brisbane, Sydney or Melbourne, there are plenty of opportunities to explore the great outdoors over a long weekend in Australia on a budget. So, rather than blowing your holiday budget on Bali for the hundredth time, pack up the SUV and explore your Australia!